Buttocks Liposuction: Liposuction is the most commonly performed plastic surgery in Australia. This technique is used to reshape the body by permanently eliminating localised fat deposits. Usually, the suctioning is made in the low back above the buttocks, the back of the thigh just beneath the buttock fold or on the hip at the side of the buttock. The aim is to produce a natural rounded curve to the buttock that recalls the look of the slim, well-proportioned athletic body.The tendency to accumulate fatty deposits on the buttocks may be inherited, and these deposits are often resistant to diet and exercise. Countless patients become disheartened at having lost unwanted pounds without seeing a significant difference in this area. The general proportions of the body may be unbalanced, and the additional volume can restrict clothes from fitting well. In these cases, liposuction can successfully trim excess fat to bring better balance and symmetry to the body.Liposuction is a great way to get rid of those bulges that you cannot seem to get rid of any other way. If you are considering buttocks liposuction, the following information will offer you with a good introduction to the procedure. During the Buttocks Liposuction consultation, Dr Barnouti will discuss the changes you would like to make in your appearance. He will also clarify the different options available, the procedure, risks and limitations. Your Specialist Plastic surgeon will start with a physical examination to assess your overall weight, your skin and muscle tone, and the fat deposits in various parts of your body. He will also document your complete medical history, including any medications that you are currently taking. Keep in mind that the greater your goals, the more you will have to do to accomplish those goals. 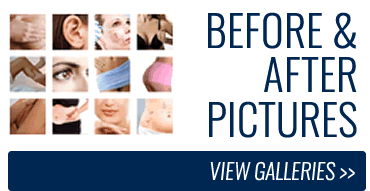 If you are only concerned about removing fat, liposuction alone will achieve that goal. However if you want an athletic, sculpted appearance, and you want to look great in a bikini, you may need to incorporate extensive exercise into your plan. Be certain to ask all the questions you have about the procedure, furthermore ask to see photos of the surgeon’s recent liposuction surgeries, before and after treatment. Learning everything you can about your options, risks and benefits is the key to making an informed decision. 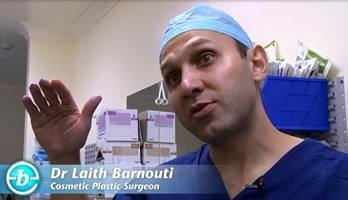 Dr Barnouti will mark the exact areas of the body where the fat is to be removed. An intravenous (IV) line will be inserted in your hand vein to ensure the fluid level and give you your sleeping medication. You or your surgeon may choose for general anesthesia, or you may choose local anaesthesia and a sedative for relaxation. During the Buttocks Liposuction procedure, the surgeon makes a tiny incision in the skin, usually in or near the buttock crease then inserts a thin tube called a cannula into the fatty area. The cannula is used to break up the fat deposits and sculpt the area to the desired proportions. The unwanted fat is suctioned out with a vacuum canula. In the super-wet technique, a saline solution comprising of a local aesthetic and adrenaline is injected into the area to be treated, which makes the fat deposits easier to break up and extract. This extra fluid also minimises trauma to the surrounding tissue, reducing swelling and post-operative pain. The administration of adrenaline also reduces bleeding during surgery, further reducing risks. The tumescent technique, in which even greater amounts of liquid solution are injected, has similar benefits. A relatively new method, water jet soft liposuction, uses water jets to liquefy the fat and numb the area followed by fat suction. Like the super-wet and tumescent techniques, water jet technique minimises trauma, bruising and blood loss. It is especially useful for small and moderate amount of fat. Your surgeon will choose the best technique for you. His choice will be determined by a combination of factors, including the precise area to be treated, the amount of fat to be removed and your preferences. For a day or two, you can expect to feel fatigued, as though your body has been through a workout – and it has! Your hips and legs will be stiff and sore, and you may experience some pain, burning, swelling, bleeding or temporary numbness. You will be prescribed simple analgesic medication to relieve this initial discomfort. Sometimes a small drainage tube is inserted underneath the skin to drain excess fluid. Your doctor may prescribe an antibiotic ointment to avoid infection at the incision sites. Your stitches will be removed in a week to 10 days, unless they dissolve on their own. You will be fitted with a tight compression garment to be worn for up to 6 weeks following your surgery. This specially designed garment will assist in reducing pain and swelling, and help your body settle into its new shape. Most of the bruising and swelling should subside within 3 weeks. You will be able to start light activities as soon as possible. Return to work within a few days if your work is fairly sedentary. You should avoid strenuous activities for 2 weeks as your body heals. It requires 2-3 weeks to resume all normal activities. It is imperative to continue wearing the compression garment, which should be easily concealed under your clothing, for 4-6weeks.